With the aim of contributing to the improvement of people's health, ALCAD offers the market a system that links patients or users with health professionals in a secure, efficient and reliable manner, based on the most advanced 100% IP technology. The system houses functionalities that make it the ideal solution for hospitals, geriatric residences, sheltered apartments or day centres. 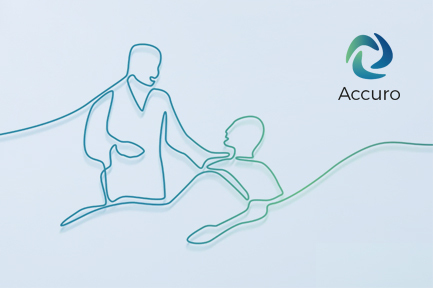 ACCURO is a 100% IP-based communication system intended to facilitate communication between patients or users and health personnel, via various warning or call devices that are can be installed in rooms within reach of the patient or user. It is complemented by the ACCURO Viewer management software that allows real-time monitoring of the system, recording all events detected in the system and extracting various types of reports and alarms and care work statistics. The system is based on IP technology, allowing greater reliability and versatility since it can interact with other IP systems through a data network thus achieving a modular system which is expandable and easy to install and maintain. ACCURO can be installed on existing IP networks within a building (please be sure to download the minimum network requirements) and since each room has a 100% IP-based control panel, the system is ready to integrate with all present and future third-party IP systems that make use of ACCURO to transmit warnings to healthcare teams, whether they originate from a patient’s request (by pressing a button) or from other types of sensors such as: windows, doors, thermostats, vital signs measurement sensors (blood pressure, glucose, heart rate, etc. ), presence, intrusion, etc. The system complies with the DIN VDE-0834 standard, which includes calls for assistance, emergency calls, doctor's calls and calls for in-person assistance. It also allows configurations both WITH and WITHOUT audio in the same system. ACCURO offers the most extensive range of elements, with varied aesthetics. Its home products include residential control panels and peripheral devices. 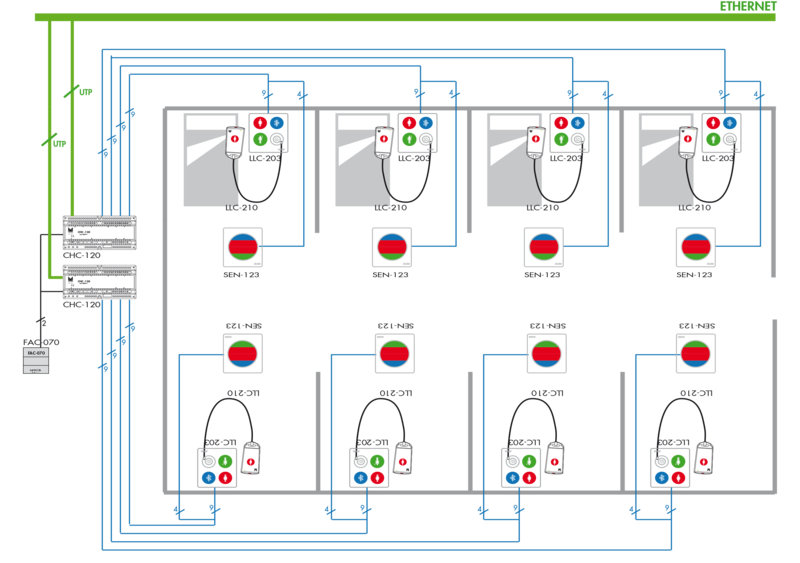 For those installations where it is not possible to wire up to the room (example: historic buildings or operating room areas), ALCAD presents the CHI-043 control panel with an integrated Wi-Fi module that replaces the Ethernet connection of the CHC-04x wired family with a Wireless connection to a local Wi-Fi network. ACCURO VIEWER is a management and control software based on Web technology (using a browser) with no need to install anything, thereby avoiding incompatibilities and ensuring the future of the system. This software is the key to the flexibility and robustness of the system. Fully configurable and developed entirely by ALCAD. 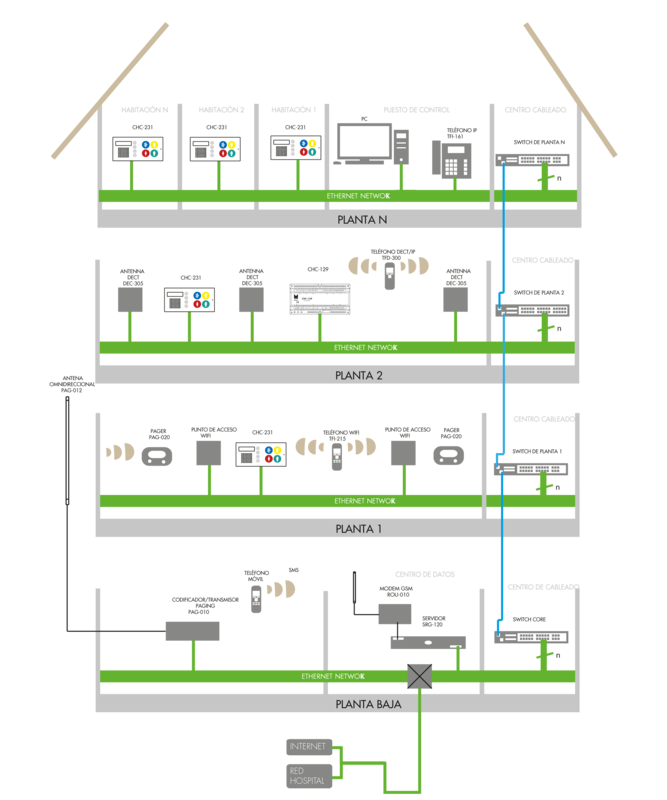 Thanks to the IP architecture, the system can be monitored through the local network or even from the Internet. 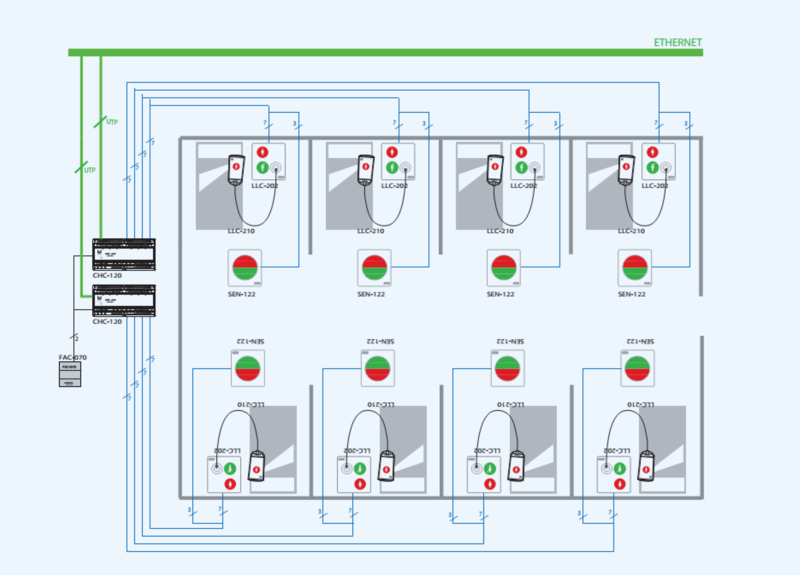 Maintenance and configuration of the system, if necessary, can also be done remotely via the Internet, allowing multiple control panels to be controlled from one location. Management of shifts and call areas. Functioning mode configuration. Capture of patient supervision and work management reports/statistics based on selectable parameters. Automatic generation of custom reports with statistics, personalised with the logo of the institution. Display of alarms in map format, indicating the alarm levels and the presence of patients/residents in the room. Patient and bed management. Registrations and de-registrations. Management of shifts and call areas. Connection with hospital or residence management systems. Configuration and personalisation of the system to the characteristics of the centre. Allows photographic identification of residents. List of calls and active alarms with detailed information of dates, origins and persons. Point 2. In public-use areas, accessible toilets and accessible changing rooms must contain an easily accessible interior device via which calls for help can be transmitted and received at a control point, and that device must allow the user to verify that his or her call has been received, or be easily perceptible due to frequent passers-by. Plug & Play: it requires no programming or configuration. The location of the incoming alert can be identified quickly on the display screen. It is delivered ready to be surface-mounted on the wall by means of two simple holes. It may be connected via removable terminals that allow for more convenient, quicker installation. It incorporates a buzzer that sounds as soon as you press any of the alarms. 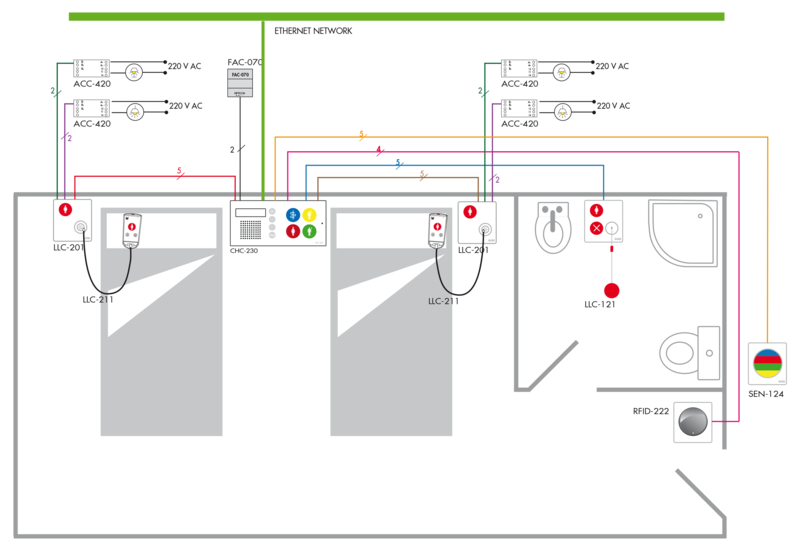 To complete the necessary material for each installation, and comply with the aforementioned regulations, it is necessary to install an accessible call unit with a pull-cord in toilets, for example our LLC-121 model, either flush or surface mounted, in a standard box which must be linked to the control panel (RAB) by 5 cables; these cables must have a minimum diameter of 0.25mm, however, depending on the metres this diameter may be increased. This mechanism incorporates a red call button with a status LED, a red button (X) to cancel the alarm and a pull-cord so that it can be operated from the ground in the event of a fall in the toilet. 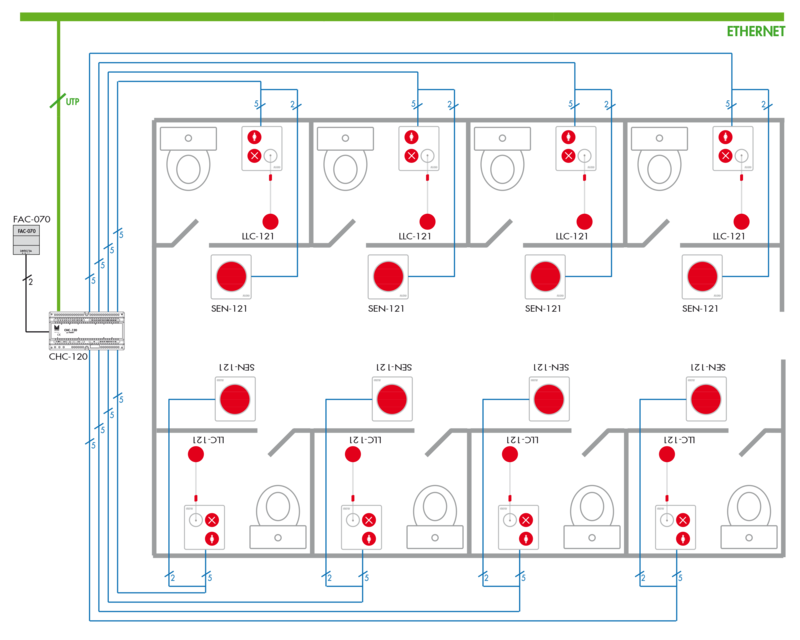 And the last component that we need to install is a red marker (SEN-121) that will be placed on the toilet door, so that anyone who walks past the place can identify the alarm at a glance to help the person requesting it. This mechanism will be connected by 2 wires of the same diameter as the previous one, which in this case may stem from the control panel or otherwise, as it is more commonly done, from the pull-cord in the toilet. You can fin more information on this solution and the products it comprises under Healthcare Products. 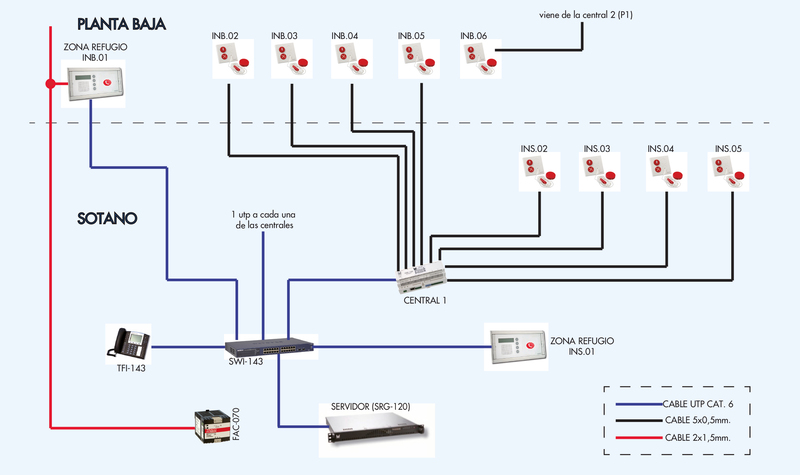 ACCURO Refugium is the first complete solution on the market that complies with Spanish SUA (Seguridad de Utilización y Accesibilidad, Safety of Use and Accessibility) regulations as well as those concerning firefighting safety in non-residential buildings, as regards intercom systems with a central controller. Since 2007 it has been mandatory to ensure safety against accidents in accessible public toilets in all installations that offer a public service. Since 2007 it has been mandatory for all new buildings, but as of December 2017 it is mandatory for all buildings built before 2007. 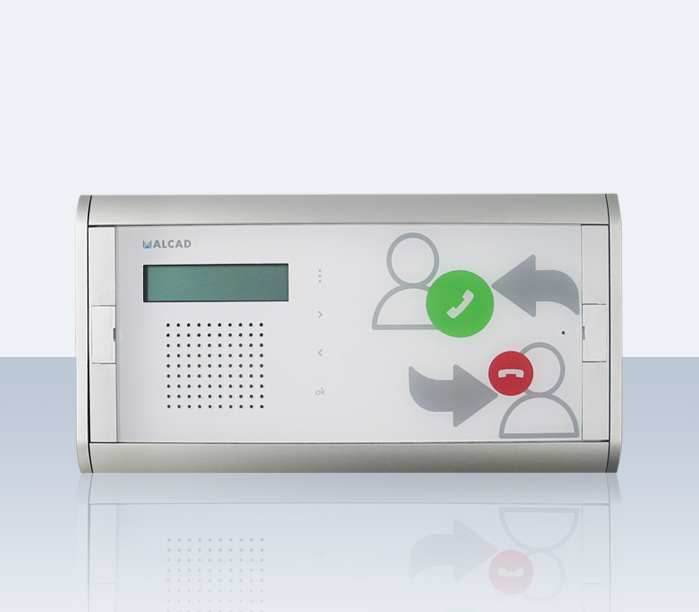 The ACCURO Refugium system is an extension of ALCAD's 100% IP-based communication system known as ACCURO, which includes an intercom point in each shelter called CIC-231 (100% IP), and a software module (installed on a server/PC) compatible with ACCURO Manager software. At the same time, the system allows the installation of bathroom warning handles as well as luminous handles for communal areas or bathrooms. All of this is centralised and managed from a single control point, or multiple control points assigned by area as needed. 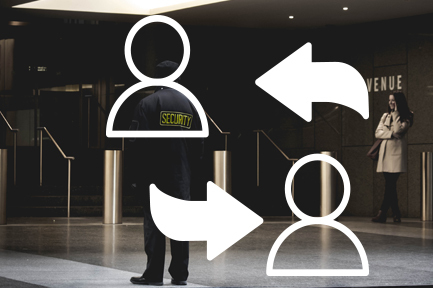 Similarly, if required, the system allows the addition of DECT-type wireless phones or IP phones or even smartphones, to increase the mobility of security personnel. From these terminals, the source of the call can be identified and it will be possible to conduct two-way communication in real time with persons requesting help in each shelter. Discover all the details of each product under Healthcare Products. Every day we meet patients and residents with orientation problems, Alzheimer, senile dementia, etc. 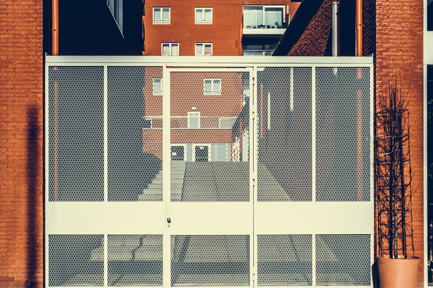 This type of patient may try to leave without permission from the residential center with the harm that this may cause for their own safety and the caregiver center, in terms of responsibility for the patient or the need for specific personnel to control these patients. This is the reason why ALCAD has integrated WANDERER CONTROL into its nurse call system that provides control mechanisms to prevent this type of escapes and facilitate the care work. The solution consists of ergonomic and submersible wristbands worn by people. 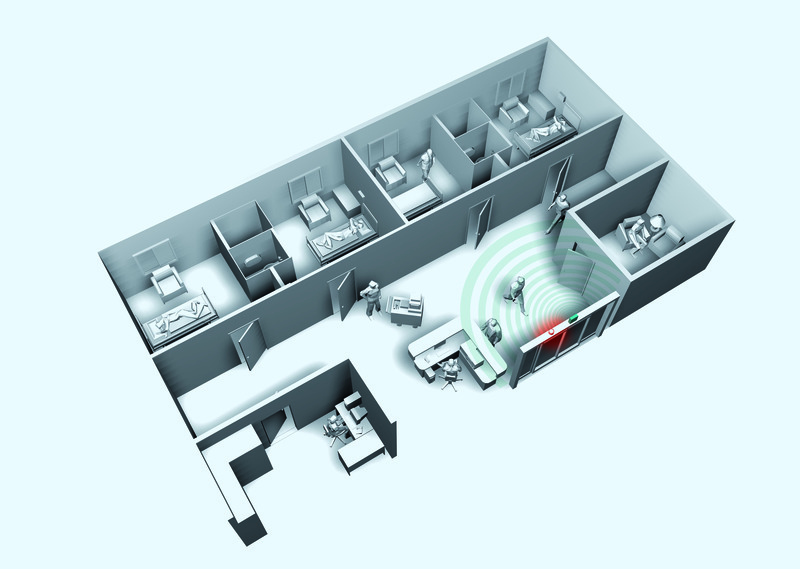 In the control areas (exit doors, stairs, corridors, elevators, etc) are placed activators that detect when a wanderer approaches that area. 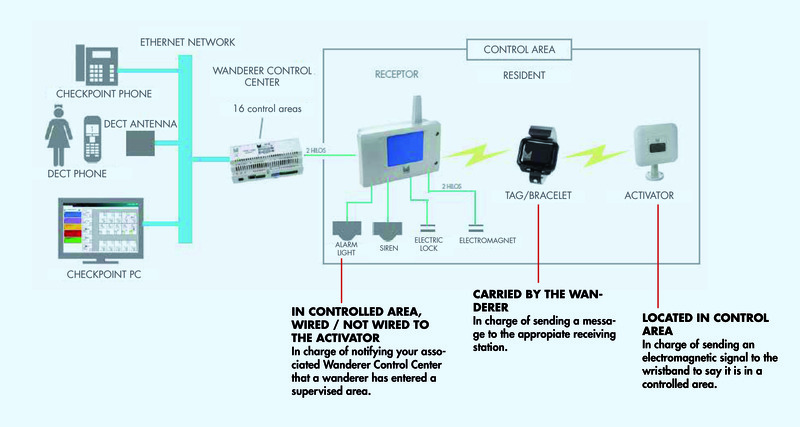 The moment the wanderer enters in a supervised area, his wristband will emit a signal to the receiving station that controls the area. This receiving station can activate an audible alarm, send an order to block a door, etc. In addition, the receiving station will send this information to the nurse call system, to let the staff to act accordingly.